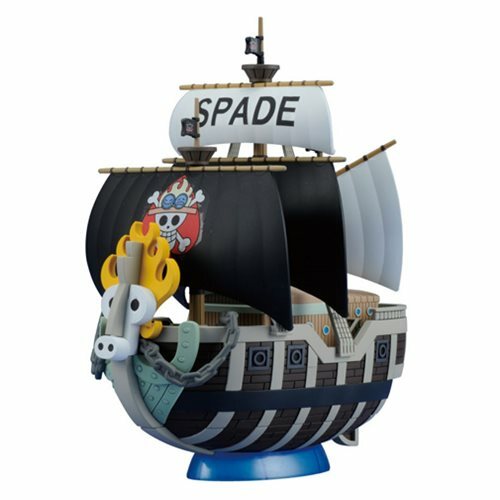 The ship used by the Spade Pirates - formerly captained by Luffy's brother Ace - is available as a model kit! The ship has a wood-grain top-deck mold, and has been recreated with a highly realistic configuration.The ship can be displayed alone or like it's sailing out at sea! Set includes one sea-surface effect and one display base. Comes with 4 Runners, a Foil sticker sheet, Kinarth plastic sticker sheet, and Instruction manual. Ages 15 and up.